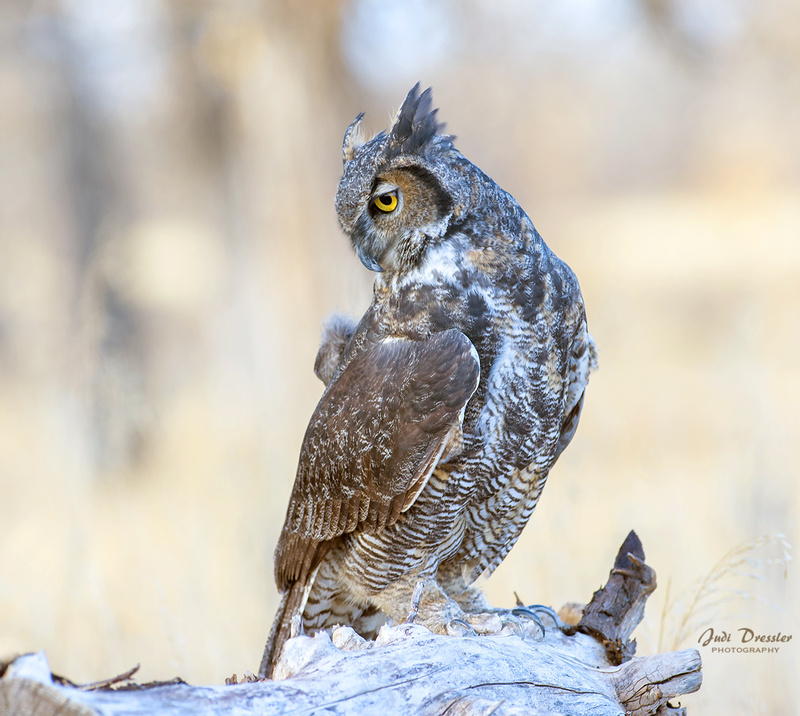 This is an ambassador Great Horned Owl — which means that it is a captive owl and is being used for educational purposes, such as being taken to schools and into the public to educate humans (as well as to photography workshops!). This owl cannot be released back into the wild due to injury that prevents him or her from flying. Some expeditions out of that cage are an opportunity for the owl to become somewhat socialized to humans and hopefully enjoy life more. Photo taken on October 29, 2016.